Russell Carlson Obituary - Iron Mountain, Michigan - Erickson-Rochon & Nash Funeral Home and Cremation Services, Inc.
Erickson-Rochon & Nash Funeral Home and Cremation Services, Inc. Profile of Erickson-Rochon & Nash Funeral Home and Cremation Services, Inc. Your inquiry has been forwarded to Erickson-Rochon & Nash Funeral Home and Cremation Services, Inc..
Russell T. Carlson, 87, formerly of Iron Mountain, died Monday, April 9, 2012, at ManorCare Health Services. He was born Sept. 9, 1924, in Iron Mountain, son of the late Theodore and Alice (Erickson) Carlson. He was a lifelong resident of Iron Mountain, graduating from Iron Mountain High School in 1942. He enlisted in the U.S. Navy and served as a gunner during World War II on the USS Sgt. Bay aircraft carrier. While onboard, he was attacked several times by kamikaze war planes. He married Joyce Skoog on June 21, 1947, in Menominee. She preceded him in death in 2005. He loved his grandchildren and great-grandchildren and will be sadly missed. 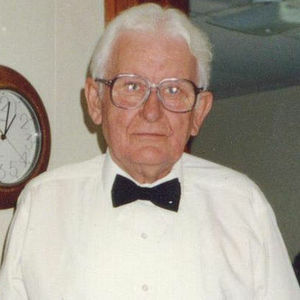 He is survived his daughter, Karyn (Bruce) Bartolac of Niagara; three grandchildren, Krissa (Brett) Secrist of Kingsford, Steven (Christina) Bartolac of Appleton, Wis. and David (Cassie) Bartolac of Green Bay, Wis.; three great-grandchildren, Matthew Secrist, Jack Bartolac, and Brooke Bartolac; one brother, Don (Jeri) Carlson of Dallas, Texas; one niece, Carol Webb and two nephews, Erik Carlson and Mark Carlson. He was preceded in death by his son, Greg in 2011. Friends may call from 10 a.m. to 11 a.m. on Friday at the First Covenant Church. Memorial services will be held at 11 a.m. on Friday at the church. Rev. Peter Erickson will officiate. Burial will be in Cemetery Park. The family has entrusted the Erickson-Rochon & Nash Funeral Home of Iron Mountain with the funeral arrangements.